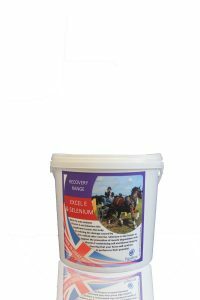 For horses fed on a traditional diet. 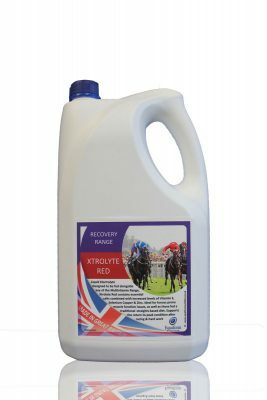 Xtrolyte Red an equine supplement, is for horses fed on a traditional diet of hay and oats and hasbeen designed so that it can be fed with any of Equiform’s Excel Discipline products.Xtrolyte Red is a liquid electrolyte that is mixed in the feed daily. 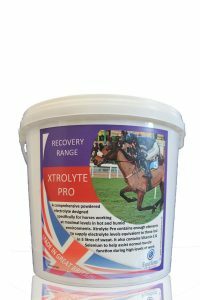 XtrolyteRed does not contain any banned substances. Suuports dietary deficiencies of vitamin E, copper, zinc and selenium, brought about by the effects of hard work in conjunction with the traditional feed diet. 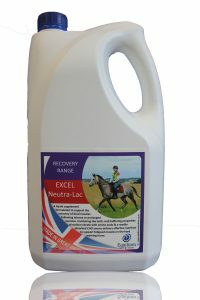 Convenient liquid form which is more palatable to horses. Some horses are reluctant to take powdered minerals. Feeding rate: 60 – 120ml per day.